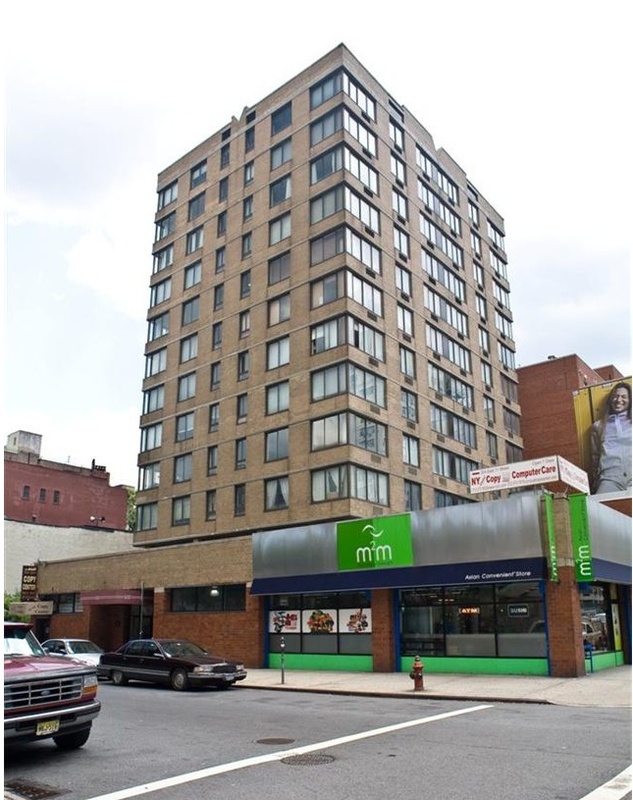 So 200 E. 11th St. at Third Avenue is now on the market. Per the Massey Knakal listing: "Rarely do downtown elevated apartment buildings become available for sale. When they do, it is even more unusual that they are as untouched and with so much upside potential as 200 East 11th Street (AKA 55 Third Avenue)." A deeper look at the listing (PDF!) shows what the new owner could do, such as converting one bedroom units into to two-bedroom units. But! The biggest changes — at least for passersby — would happen on the outside of the building, where the listing notes "[a] buyer may wish to expand the residential floor plate above and restore the building above by reskinning glass." Let's take a closer look at this reskinned glass. 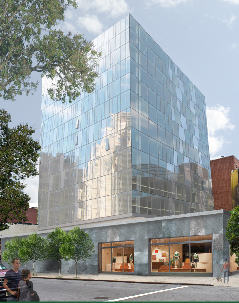 The new rendering doesn't happen to show the current retail clients — M2M or the copy shop. The third storefront is home to The Smith. There's no price listed for the building. It's bad enough as is. What's with the reskinning with glass -- why the developermania to remake NYC into Dubai without the desert climate? This is possibly the ugliest building in the area. The urge to remodel the facade is understandible, but by making it uglier? Just don't touch my M2M. I'm just used to seeing it without the foreskin so it seems kind of weird. I also thought it was a dorm. In fact, why hasn't NYU snapped this up, what with all their housing needs. Ugh. As is, it kind of "blends" with the other brickish huge-o buildings including the dorms. Perhaps the design trendsters could convince the universities to glass-skin the dorms, and the sci-fi transition will be complete, at least til you turn the corner onto the landmarked blocks.